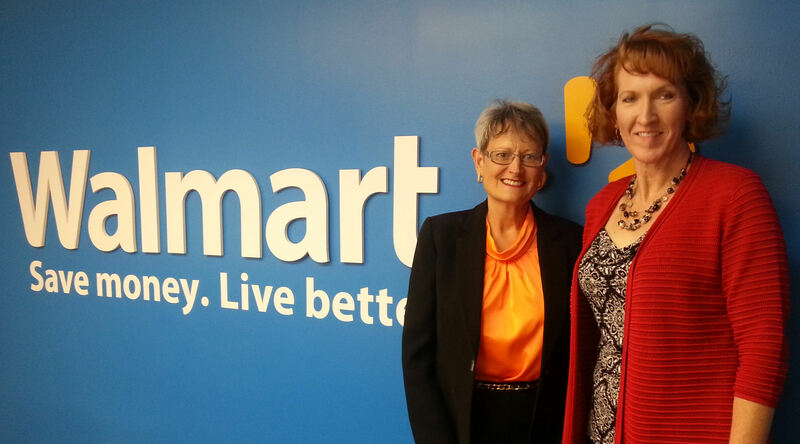 On Thursday, July 24, 2014, Ginger Martin had the privilege of sharing her journey as a female CEO of a National Bank with a group of female Directors and Senior Directors at Walmart Corporation in Bentonville, AK. The meeting took place via video conference at the Walmart Florida Division Doral office. The Walmart women participating in the meeting were members of the Walmart Female Mentors Circle. The members of the Mentor’s Circle participate for 2 years and are selected based on their leadership potential. This entry was posted on Monday, July 28th, 2014 at 3:17 pm and is filed under Uncategorized. You can follow any responses to this entry through the RSS 2.0 feed. You can leave a response, or trackback from your own site.